Take control of your home from the palm of your hand. Lock doors, turn on lights and adjust thermostats from an interactive app on your smartphone, tablet or computer. 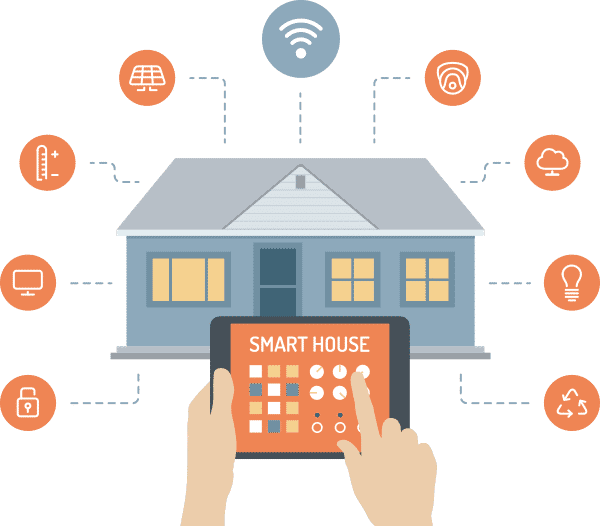 What can you do with a connected home? Be the smartest mom on the block – take the worry away. Come home after a long day to a cozy, well-lit house – and be ready to relax. 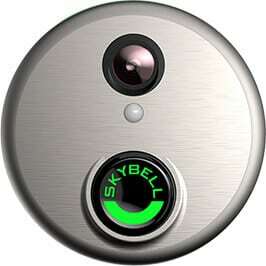 Always know who’s at your front door with SkyBell. This smart WiFi video doorbell allows you to see and speak with people on your doorstep, right from your smartphone! View your front door any time with live monitoring, and record videos or capture photos if you wish. Enable geo-services so your system can sense your location via your smartphone, and your home can react based on where you are. 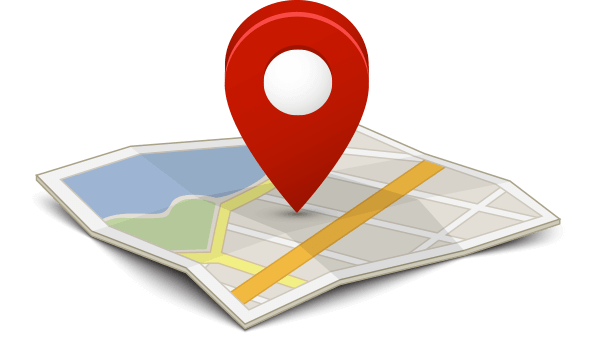 Simply set up virtual “geo-fences” around important places like home, work, and school. How convenient is that?! Would you like for your thermostat to adjust automatically when you’re on your way home from work? When you leave the geo-fence around your workplace, and enter the geo-fence around your property, your home will react by turning on your lights and turning up your heat, or even brewing your coffee. Have you ever realized you forgot to lock the door after you left for the day? If you leave your home’s geo-fence without locking the door or arming your alarm system, you can receive an alert to your smartphone. Building a new house? Choose a Smart Connect structured wiring system. Choose a SmartConnect system for an exceptional technology experience at home. Interested in a Home Automation system?